Injured on a Pennsylvania Construction Site? The range of accident types and injuries that can occur on a construction site is staggering. The causes of construction accidents are rarely singular, in part because so many different companies work on a single jobsite, side by side. Therefore, many factors must be thoroughly examined to uncover all liable parties after an accident. If a negligent third party (not your employer) was responsible for your injuries, you may be able to pursue a personal injury claim in addition to obtaining workers compensation benefits from your employer. 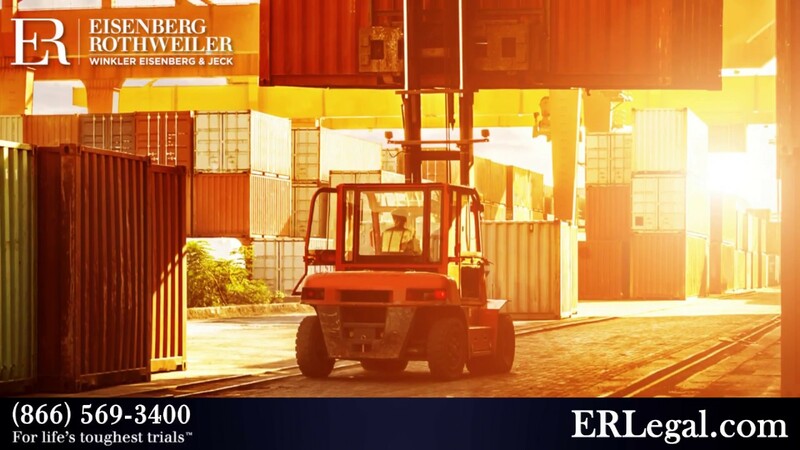 A construction accident lawyer from Eisenberg, Rothweiler, Winkler, Eisenberg & Jeck, P.C. can help you explore all your legal options so that you have the financial resources you need to pay your bills and provide for your family in the wake of your work injury. We have a history of success with these kinds of claims. Our attorneys achieved one of the largest settlements in U.S. history in a case concerning the collapse of the Tropicana parking garage in Atlantic City. Due to contractor negligence, the garage’s supports failed, killing five and injuring 30 others. This case, which took four years to complete, involved many defendant companies and eventually settled for $101 million. Construction sites usually contain industrial machinery, heavy building materials and many other possible dangers. To prevent potentially deadly workplace accidents, the Occupational Health and Safety Administration (OSHA) maintains strict safety regulations. These include rules pertaining to safety equipment, proper building procedures and codes, employee training and more. However, contractors and other companies may ignore these rules in the interest of profits, increasing the risk of a catastrophic accident. Construction workers may also be at risk for occupational diseases or illnesses if companies do not ensure that the worksite is free from toxic substances. These conditions may develop slowly over time, but they can be debilitating or deadly. Like any construction injury, occupational illnesses may be grounds for a workers compensation claim and/or personal injury lawsuit. Depending on the circumstances of your construction site accident, many different parties may be to blame. Any company, independent contractor or property owner whose negligence caused or contributed to your injuries may be liable for your medical bills and other damages. If your employer ignored OSHA regulations or was otherwise negligent, then you should be entitled to benefits through workers compensation. Workers compensation insurance covers work-related injuries sustained by a company’s employees, regardless of fault. However, workers comp laws also prevent you from bringing a personal injury claim against your employer. Still, it is rare that just one company is responsible for a construction site accident. For example, a catastrophic accident may result from product defects in a piece of equipment, such as a forklift. In this case, the forklift manufacturer could be held liable for negligent building and/or testing procedures. The company responsible for maintaining the equipment and the company that purchased it may also be liable. If any other party contributed to the accident, you may file a third party claim for additional compensation. Workers compensation benefits are limited. Often, they do not cover the true cost of your construction injury or loved one’s wrongful death. Filing a personal injury lawsuit against a third party or parties allows you to recover the additional compensation you need for medical bills, lost wages and other damages. If you or a loved one sustained catastrophic injuries in a construction site accident, our attorneys can explain your legal options. Depending on the circumstances, you may be entitled to workers compensation as well as other damages in a third party claim. Contact our law firm today to speak with a knowledgeable Philadelphia construction accident lawyer. We offer free initial consultations and handle cases on a contingency fee basis — you do not have to pay us unless we get results for you.